Dr. Cathy Dwyer is Team Leader and a Professor of Animal Behaviour and Welfare at Scotland’s Rural College. She received her PhD from the Royal Veterinary College in London before joining the Animal Behaviour and Welfare Team at Scotland’s Rural College. Cathy is with us today to tell us all about her journey through life and science. Cathy is interested in maternal behaviour, mother-offspring interactions and offspring development, which has involved research in a variety of large and small animal models (sheep, pigs, horses, cattle, mice and guinea pigs). Her research has focused on applied questions: initially looking at the impact of maternal undernutrition in pregnancy on muscle development during her PhD, and more recently concentrating on impacts of environmental and genetic factors in neonatal survival and development. 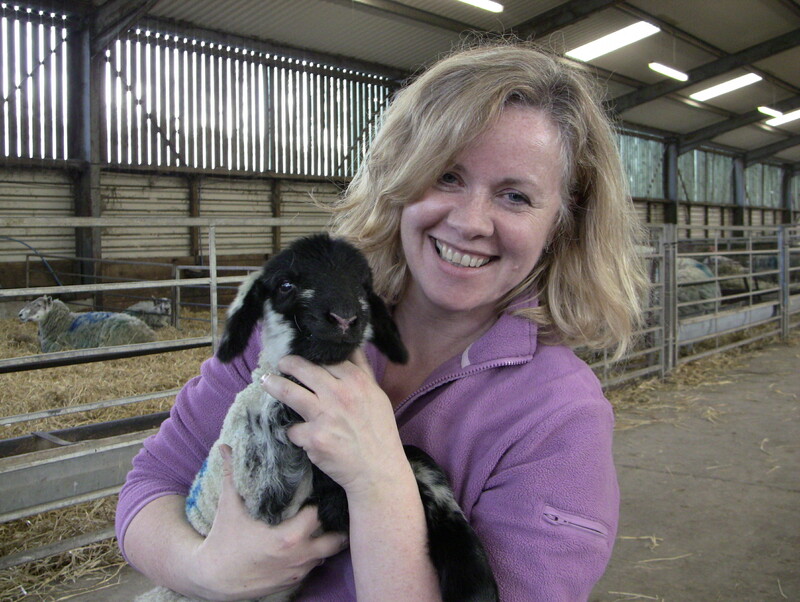 Current research areas include the impact of early life events on behavioural development and stress responsiveness in sheep, the potential to select animals for improved lamb vigour and survival, and the consequences of a difficult birth for subsequent health and welfare in cattle and sheep. Cathy has also addressed more strategic questions: the role of physiological and neuroendocrine factors in mediating individual differences in maternal behaviour; the impact of variation in maternal care on offspring behavioural development and the physiology of foetal and neonatal development. An emerging research area is the welfare of extensively managed animals, which has been relatively neglected in comparison to intensively managed animals. This has focused mainly on sheep, and the ability to identify welfare problems and understand the welfare needs of this species. Current research in this area includes a collaborative project (funded by EU and Scottish Government) to develop methods and protocols to assess on farm welfare in sheep, and a project to investigate ways to reduce pain during husbandry procedures.